It might have surprised you how the price varies across various online stores. And surprisingly, these prices are in most cases, way less than your store prices. How do the online retailers keep their prices low? 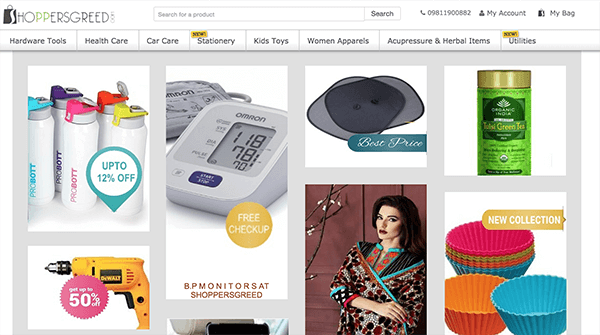 There happens to be few legit reasons that allow these online e-commerce sites to price their products price far lesser than any typical stores. Lower price is definitely good, yet it leaves the consumers wondering whether these sites are selling counterfeit products or real stuff. The e-commerce sites have enough reasons to underprice their products and they don’t need to sell fake stuff, you will know how after reading this article. The more the volume, the lesser can be the price. This is a simple law of economics, if some store could manage to sell more units of goods in a given amount of time, they could sell each unit for comparatively lower price. General stores sell a definite amount of products like gadgets, healthcare products, herbals etc. each month; they balance between their debit and credits so that the books don’t cause trouble in further financial transactions. More volume gives the space between the customer and the vendors to place a bargain and settle for a win-win situation. Some product which a store in some locality would sell 50 units would be sold 1000 units in sites like eBay, ShoppersGreed or Amazon. This is how these web sites cut prices. The e-commerce sites fetch their products directly from their manufacturers, there’s no third party dealer in between the process. The process gap is eliminated, and there are no charges for show rooms. The cost for holding the inventories in a store happens to be the only cost, and few for marketing purposes. The packaging is usually outsourced, and the price is paid by the customers as well. This is one core reason why the price in these e-commerce sites are lesser than usual stores – the expenses between the production and selling period is too less. Marketing tends to take away a lot of money for product selling. Online marketing is cheaper and hassle free. Also, any advertising that is conducted online happens to reach more people in this era of smartphones and fast internet. Hence, this actively contributes to the lower price tags in e-commerce sites. Just because some online store sells goods for a lower price tag than general stores, doesn’t necessarily mean these products are counterfeit or troubled. You should still run your general assessment on the product qualities though.